CELEBRATING THE FREEDOM TO LEARN, THIS AFRICA DAY! On 25 May 2018 we celebrate Africa Day; a day marking the independence of 28 African countries from European colonisers. While South Africa only became part of the original organisation in 1994, our country became the founding member of the African Union, officially launched in 2002. 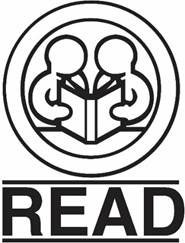 For READ Educational Trust, a non-profit organisation promoting literacy amongst the poorest of the poor for nearly 40 years, this day is about far more than liberation. It’s about the freedom to learn; the freedom to explore and be educated, and at the very core, it’s about access to reading and literacy. READ’S reason for being has always been to bring change to the lives of disadvantaged children in South Africa through education. Sadly, after 38 years since the organisation’s inception, we still see the majority of young learners being negatively impacted by a range of social and economic inequalities. These children in predominantly rural areas face a childhood of adversity. There is inadequate access to healthcare, education, social services and quality nutrition. This has undermined the development of these learners, resulting in significant deficits that limit educational progress. This limited progress was highlighted in the Progress in International Reading Literacy Study (PIRLS) report, released in December 2017. A staggering 80% of South African Grade 4 learners cannot read with comprehension. South Africa’s average score is 261 points below countries like The Russian Federation, Singapore and Ireland. This difference represents six school years – meaning that our Grade 8 learners, entering secondary education, are reading at the same level as Grade 2 learners in these countries. Our top achievers are at the same mean level score as the lowest 25% performing countries. Over the past five years, our learners (including the top achievers) have not progressed at all. Rural learners are three years below their urban counterparts. READ has successfully addressed some of these issues over the years, thanks to the implementation of Early Childhood Development (ECD) Programmes that assist caregivers, educators and principals of ECD Centres in overcoming our country’s challenges. READ also provides practical training, hands-on support and valuable resources which have been shown to be extremely effective. The need, however, is both dire and vast. A collective effort can change the face of South Africa. 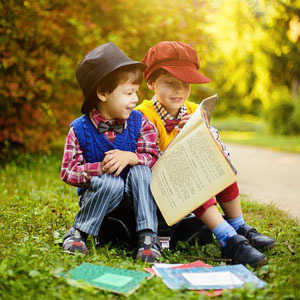 The only way to succeed is for governments, non-profit organisations, big business and private individuals to stand together and do all they can to combat illiteracy by actively promoting and funding reading and educational incentives.